On Saturday, when President Obama named federal prosecutor Loretta Lynch as his new attorney general, I knew it was only a matter of time before the usual suspects swooped in to slime and politicize the nominee. But I didn’t think it would be so hilarious. Within hours of Obama’s announcement, the ironically named Breitbart News – which is journalism in the same way that Velveeta is cheese – heralded a momentous scoop on one of its sites. The headline declared that Lynch had Represented Clintons During Whitewater. The sub-headline said that Lynch was a member of Bill Clinton’s defense team during the 1992 Whitewater probe. Obama linked to Clintons linked to Lynch linked to scandal – perfect! Or so it seemed. Stay with me for the punch line. 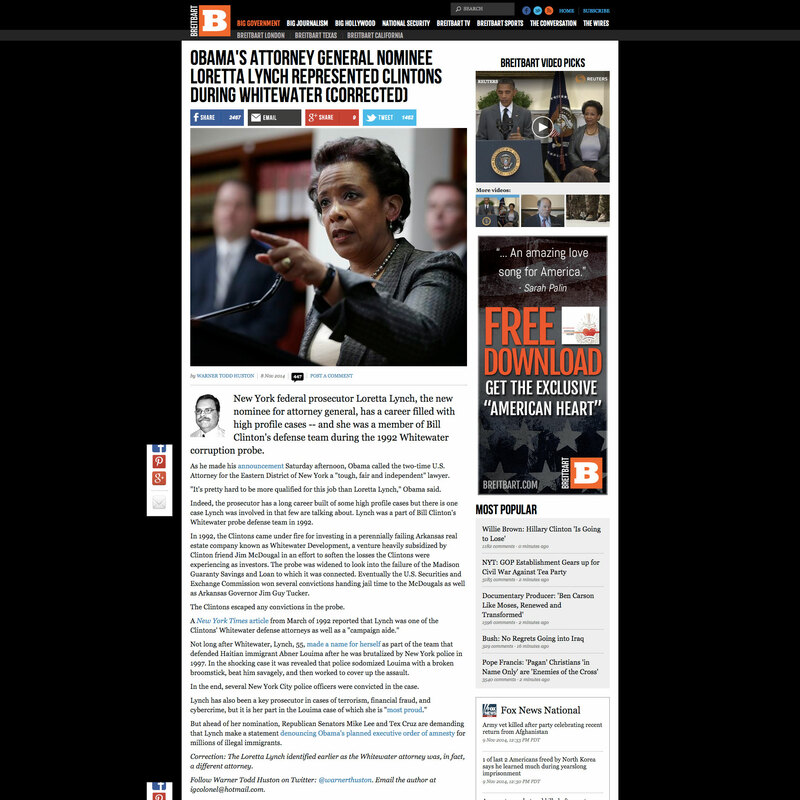 Breitbart got the wrong Loretta Lynch. One traditional tenet of journalism (the real kind) is: Assume nothing. I once had an editor who said, “If your own mother says she loves you, verify it.” Assume, in other words, that there might be more than one Loretta Lynch in America’s legal realm, and that this possibility is worth checking before posting a story. And when you find a 1992 New York Times article that mentions Whitewater and a Loretta Lynch (this article is what got Breitbart all excited), take a breath and dig just a wee bit more. Like checking to see whether Obama’s nominee had ever done legal work for the Clintons. But no, Breitbart didn’t bother. And sure enough, there is more than one Loretta Lynch! 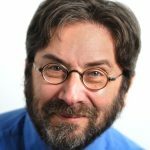 Turns out, the Loretta Lynch who signed on briefly to help the Clintons, when the press had questions in 1992, was a California-based attorney and law lecturer who later served as the state’s Public Utilities Commisioner. She has never been a federal prosecutor. Some time yesterday, when Breitbart got wind of the fact that it had the wrong Loretta Lynch, it decided to run a semi-coherent correction at the bottom of both stories – “The Loretta Lynch identified earlier as the Whitewater attorney was, in fact, a different attorney” – without actually revising the stories. In other words, instead of taking down the stories entirely (since they hinged on a lie), Breitbart tried to keep the lie and append it with a caveat. It also kept its phony headline and added the word Corrected, which made it look like the phony headline had been verified. Voila! Fortunately, that last-ditch right-wing con didn’t fly. Some time in the wee hours of this morning, the phony stories vanished without explanation. Apparently, even propagandists have a problem with fact aversion, at least in cases of mistaken identity. But this episode was just the tiniest inkling of what we can expect from the emboldened conservative “media” during the pre-’16 presidential cycle. To quote the French again, Plus ca change, plus c’est la meme chose.